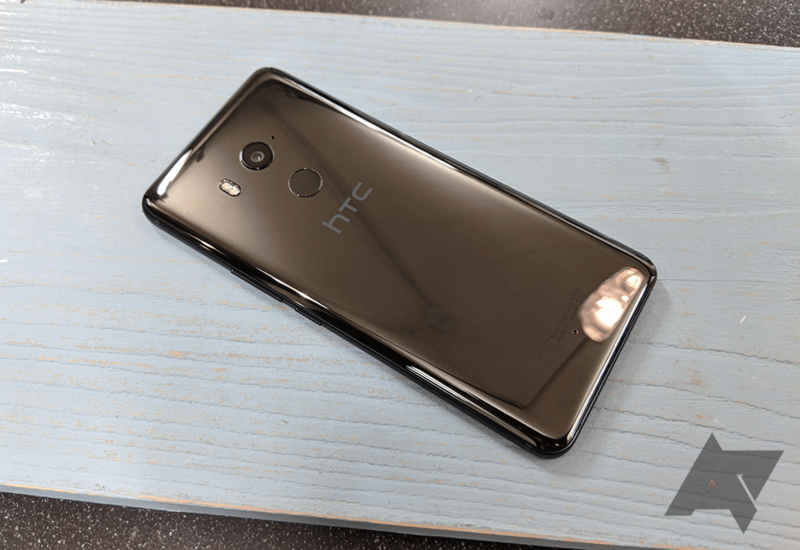 Six months have passed since HTC launched its 2017 flagship, the U11, and although that phone was a significant improvement over the Taiwanese company's recent high-end efforts, some may not have thought it captured the imagination when compared to competing devices from rivals like Samsung and LG. 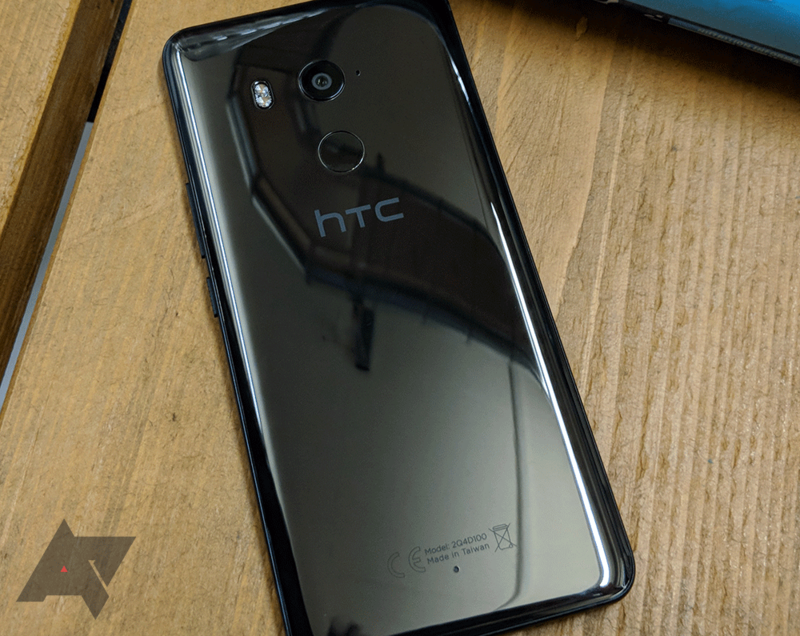 There's plenty of work to be done if HTC wants to get anywhere near back to the lofty position it once held in the Android smartphone landscape, and an upgrade to the U11 six months later is probably not the worst place to start. Where the U11 failed to acknowledge 2017 flagship trends, the U11+ is something of a course correction. Its 6-inch QHD+ display (2880 x 1440) has an 18:9 aspect ratio flanked by much-reduced bezels, and the fingerprint scanner has been moved to the back, which most media commentators agree is the optimal location. HTC has also finally ditched capacitive buttons in favor of on-screen navigation, which is a big plus for me, even if some people still stubbornly support the antiquated alternative. As well as righting some of those wrongs, HTC has also retained much of what made the U11 a good phone. The U11+ has the same Snapdragon 835 processor, the same impressive camera module, and the same lightweight HTC Sense skin. 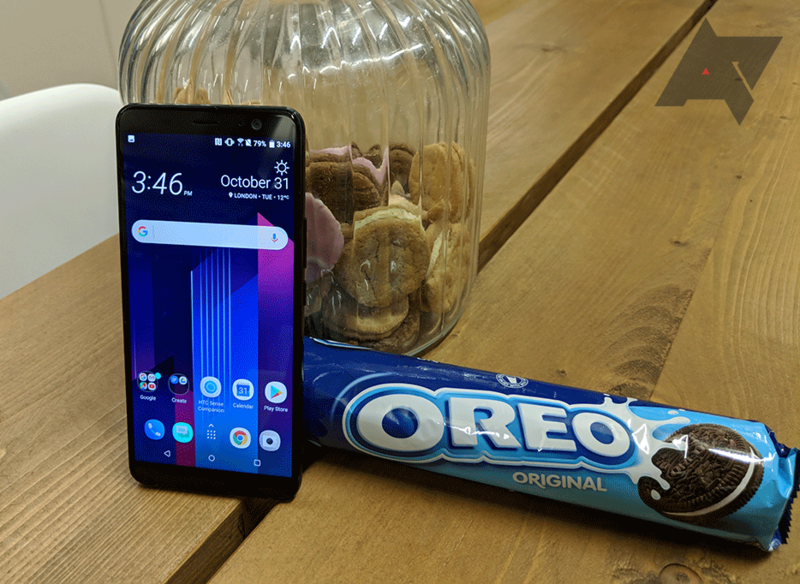 It also adds the latest OS version, as one of the first phones to ship with Android 8.0 Oreo. 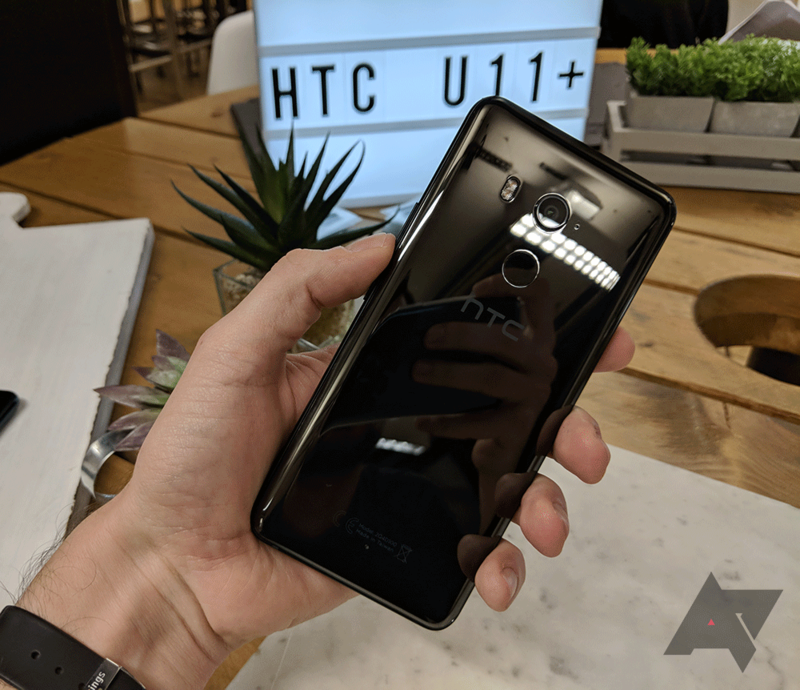 The first thing I noticed about the U11+ as soon as I turned the screen on is that the chin and forehead are not what I've come to expect from an HTC phone. They're substantially smaller, even if it doesn't have the same wow factor as a Samsung Galaxy S8 or LG V30. There's no 3D or curved glass at the edges of the screen or appreciably rounded corners to the display, but the design of this phone is unquestionably an improvement over the U11 and everything else HTC has recently put out (including the HTC-made first-generation Google Pixels and the smaller Pixel 2). Head-on, it's not dissimilar to the Huawei Mate 10, and I can honestly say I think it looks nice, if not beautiful, from the front. The rear of the phone offers the most prominent evidence that this is related to the U11, as it employs the same eye-catching liquid surface color treatment. The unit I handled was Ceramic Black, the only colorway that will be available when the phone launches in Europe later this month. That name is potentially very misleading as it's obviously made from glass, although it is hard to deny that the finish resembles the back of the Essential PH-1, which is made from ceramic. Like its shiny predecessor, the body of the U11+ is a greedy fingerprint magnet. It looks great when you first pick it up, but that's not going to last long, and I know I would spend entirely too much of my time wiping the thing with a microfibre cloth attempting to return it to its former glory. That said, it is an attractive piece of hardware, and as not many people are likely to wind up owning one, I'm sure it could make for a conversation starter. Once I turned on the display, I found the Super LCD 6 panel to be bright and vivid. It also uses the DCI-P3 wide color gamut and supports vibrant HDR10 video. When it comes to software, I wasn't able to glean a great deal. The demo units were running unfinished software, and we were told only the homescreen was fully representative of the final experience. With a Snapdragon 835 and 6GB of RAM, it almost goes without saying that the performance was very snappy in the brief time I used to U11+. One thing I did get to play with was a new version of Edge Sense, which refers to squeezing the sides of the phone to trigger an action. It can be set up to do a variety of things, such as summon a smart assistant, take a photo, or open a specified app. The customization options appear to be fairly robust, and it's even possible to have it trigger a different function in any and every app. You can run the Google Assistant and Amazon Alexa at the same time, if you so wish, and have a short or long squeeze awaken each respectively, just in case you use both platforms. 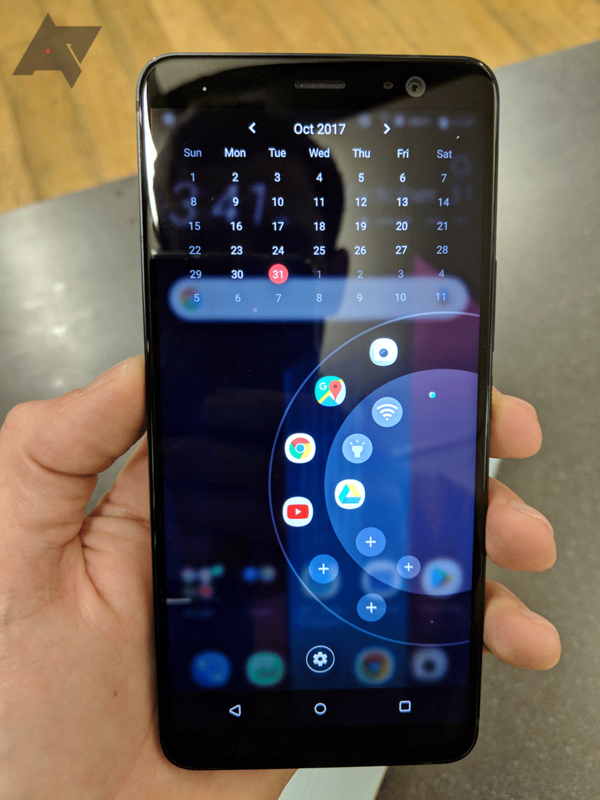 There's a new feature called Edge Launcher, which brings up a wheel-like UI (pictured above) if you squeeze while on the home screen, the purpose of which is to make one-handed navigation easier. It's a reaction to the increasing size of smartphone screens, and it's something I could actually see myself using. It allows you to access your favorite apps and services without having to route around for them, and it could be a real time saver. In the same vein, you can also swipe down from anywhere on the regular launcher homescreen to access notifications, rather than reach all the way to the top of the screen. Other third-party launchers have already implemented this, and I was surprised that Google didn't build such functionality into the new Pixel Launcher, as reaching to the top of the Pixel 2 XL can be pretty awkward at times. Audio is going to be a key selling point for the HTC U11+, whose impressive spec sheet includes BoomSound, Hi-Res audio, Qualcomm aptX HD, and LDAC 24-bit high-resolution wireless audio. I was able to quickly play a preinstalled song by Bonobo, albeit only a regular MP3 file, but it did sound pretty good. 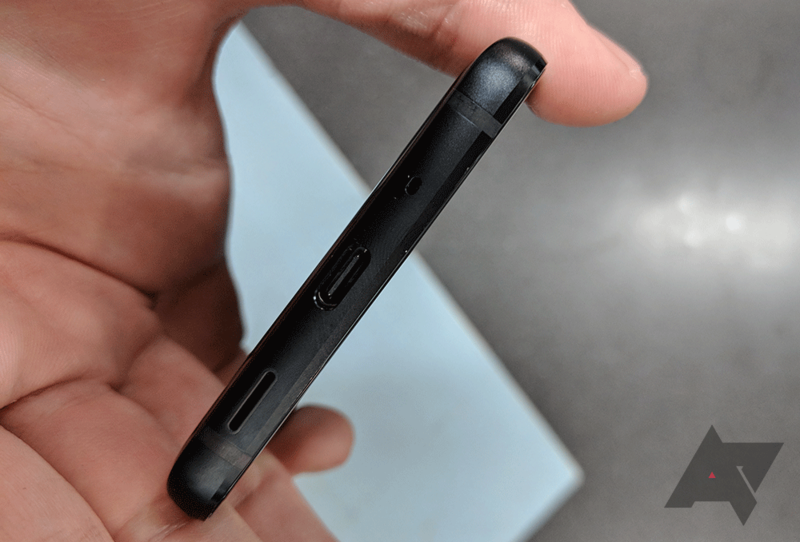 There's one front-facing speaker in the ear-piece and another on the bottom edge of the phone next to the USB-C port. I'm not a fan of bottom-firing speakers, as they're easy to cover, especially when holding the device in landscape for video, but the sound produced by both together was impressive. The audio credentials of this phone do not stretch to a headphone jack, however, so you'll be relying on Bluetooth or USB-C. There are plenty of things I didn't have time to look at in my time with the U11+, such as the camera - which is likely to be very good. The phone has a massive 3930mAh battery which should translate to impressive longevity. These aspects and many others will be put through their paces when we receive our review unit. But my initial impressions are certainly positive. I'll admit I've not extensively used an HTC phone since the Wildfire many moons ago. That was a budget device that I grew to despise. I'm definitely excited to spend more time with the U11+, though. It seems to have all of the ingredients a competitive flagship phone should have in 2017. In fact, it's probably the phone that should have been launched in May in place of the original U11. But while HTC is still playing catch up, it may have closed the gap somewhat. The HTC U11+ will be available to pre-order on November 20th. It will cost £699 in the UK and €799 in Europe. For full specs take a look at the announcement post, and for more information visit HTC.com.